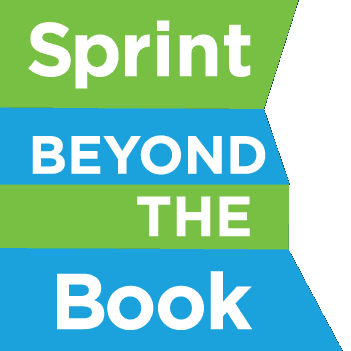 The complete book from our first book sprint, Beyond the Book: The Future of Publishing. Well, we did it! Our mission was simple: write, edit, and publish a book in three days from the floor of the Frankfurt Book Fair. By the end of the third day we had more than twenty-five essays and a number of videos, brief interjections, excerpts, and other ancillary material to fill out a respectable volume. To be honest, I knew we would: get a few professional writers lined up, ply them with lattes, lay down a few deadlines, and you will inevitably see results. The main surprise was my naïve assumption that I would have time to write alongside them rather than working with our excellent support team to keep the cameras rolling, the editorial engines churning, and our visitors to the booth nodding and smiling. Now that we have the benefit of hindsight, why did we do it? What did we accomplish? The basic answer is that this was about performance. We wanted to take the distinctive energy, the imaginative space that writers require for creative production, and put it on display. I admit, unashamedly, that one of my inspirations for this exercise was the great, underappreciated Monty Python skit where novel-writing has become a national pastime that can fill a stadium with cheering fans. It’s a little silly, sure, but why don’t we celebrate writing like this? So we put up a big clock and gave everyone status updates on the project. We had a film crew (there is no better way to signal a happening than to have someone record it). We staged the event as series of individual “sprints” where we would all brainstorm ideas around a particular question, turn to individual writing time punctuated by occasional queries and sardonic commentary, and then gather for a brief review and reflection period. And, in fact, by the end of three days our little group of collaborators did feel something like a team in a stadium, or maybe a newsroom: working hard together on a shared goal under tight constraints. The effort to plan and execute this at a frantic site like the Frankfurt Book Fair was non-trivial. We spent hours discussing the layout of our space, the people we should invite, the larger goals and specific agenda items, all the way down to the optimal spacing of coffee breaks to allow for maximal productivity (key insight: make caffeine available all the time). Ultimately, the setting was crucial to creating a physical network effect: people stopped by our book…smart, connected people who were going to take this back to their executive boardrooms or their vast online communities. This brings us back to the notion of performance. Somehow for all the openness of digital culture, the way we share our innermost thoughts, our half-formed ideas and streams of consciousness, writing itself has remained unchanged. Writers compose in private, even when communicating with millions in real-time. You don’t see novelists sitting down and letting people watch them crank out prose, with a few notable exceptions. The gulf between writer and audience has many consequences. The absence of the artist at the heart of the literary work, the way in which all of those false starts, dead-ends and commodius vici of recirculation are elided in the final text, is a form of loneliness that many writers have struggled with. Ironically, we have made the written word – this deep expression of the self; the telepathic, mind-projecting transmission of thought and feeling from one brain to another – into a new barrier. I suspect this has been true for centuries – that writers like David Foster Wallace find fiction to be a source of redemption, a way out of the lonely Skinner box of human existence, but also an endless deferment of direct, live contact. Turning writing and publishing into a live act also takes its inspiration from the performance of literary culture, the idea that extemporaneous discourse is an art in and of itself. So how do we create a space for live writing? Walter Ong (1982) called our transition into the space of contemporary letters the move from orality to literacy, noting that the explosive impact of the written word has involved losses as well as gains. The culture of auditing – privileging speech and listening as the primary formal and legal modes of communication – has given way to the culture of silent reading and, increasingly, silent writing. We lose something in these silences, as the spoken word can never be unsaid, according to the French literary theorist Roland Barthes (1975). Too often the silently written word can be silently erased, and the Internet’s textual cornucopia tempts us to forget all that Google does not know. The notion of live writing and the performance of writing has interested poets and literary scholars for decades, leading to many experiments in creating more nuanced spaces on the page and in public readings for the performance of poetry and other literature. At its roots these modes of performance serve to construct our own identities as players on the cultural stage: Adam Smith more or less founded his entire theory of moral philosophy on the importance of knowing how to express your thoughts effectively on the fly in the Theory of Moral Sentiments (1759). In our Frankfurt experiment we challenged ourselves to imagine how the process of writing itself could become more fluid and more open to observation. This reflexivity creates a space for collective processing and authorship to take place as well, with writers responding to one another on the fly rather than engaging in a more traditional essay-response format. By organizing ourselves around a series of “sprints” where each writer discussed and then staked out a claim on a particular topic, we were able to work in concerted parallel, explicitly and implicitly weaving together the threads of ideas like Dan Gillmor’s notion of iterated, perpetual beta books and Charlie Stross’s nightmare of feral spam literature. We could have conducted this experiment with quill and parchment (maybe the Declaration of Independence is a good precedent for writing as performance), but instead we chose to run our experiment online, using Intel’s Professional Grade E-Book platform and a WordPress blog. In terms of composition, most digital publishing tools are still discrete, private booths into which we pour our words. They are deceptively simple in their front-end operations: users see some kind of text box, maybe some tag or categorization options to direct their conversations towards the right audience, and a big, enticing “submit” button. The real sophistication lies in the algorithms and sharing platforms that curate and transmit all that text to networks of readers. As it stands, most of these systems function as black boxes, specifically fortified against those who seek to “game the system.” All of the most interesting heavy lifting takes place behind the veil, so authors, readers, and texts are put in touch according to proprietary notions of serendipity. Many of these processes – recommendation engines, social media feeds, discoverability – remain beyond the scope of what we set out to accomplish in Frankfurt. Nevertheless a major ambition of our Sprint Beyond the Book is to make this backend as visible as the front, to demonstrate how easy it is for publishers and authors to create digital versions of their work without resorting to expensive software. The platform we were using from Intel, the Professional Grade E-Book system (PGE), was intended to serve this role: a simple, transparent set of tools to ingest PDFs on one end and create a graceful digital book on the other. Getting this done in practice was a reminder that every performance needs its gaffers, grips, technical directors, and stage managers. The PGE tool is a proof of concept at this stage, a working prototype of a platform that in the future could be more flexible (running on multiple computing platforms, not just Windows), more adaptable (ingesting multiple text formats in addition to PDF), and more supportive of the increasingly iterative nature of digital publishing, where a book might be published and republished many times as various pieces of its content are updated. In practice our workflow at Frankfurt was still radically simplified and accelerated from the traditional publishing model, with new iterations of our evolving text going online several times a day and a freshly formatted edition coming out roughly once a day. However, we could glimpse even greater efficiencies in the promise the PGE platform has for full commercial deployment: a system that allows anyone to create a high quality e-book using a single, simple production system. The experiment in Frankfurt ultimately centered on a different kind of staging: not writing but publication itself as a performance. Bringing our authors together in public, creating the book out in the open, on the fly, is an homage to what I see as the core aesthetic of the publishing industry. Publishers are businesspeople, running companies that serve market needs and must turn a profit, but they are also cultural arbiters. They support writers (who are usually not businesspeople), they watch trends, and above all they define a certain kind of style. The world’s great publishing houses still have this, a sense of brand identity and cultural purpose that extends beyond a simple profit motive. This intangible aesthetic is its own form of performance, a long-running improvisation where books and market seasons are the individual episodes of a larger drama. The book sprint in Frankfurt and our upcoming experiments at Arizona State University and Stanford University highlight this bigger picture. Expanding what Pierre Bourdieu called “habitus” in terms of individual actors in the drama of cultural systems (1972), we are using PGE and the framework of new digital platforms to ask how a new transparency might transform the relationships between publishers, readers, authors, and critics. We already see writers publishing drafts and readers responding, publishers crowdsourcing new books, and authorship collectives short-circuiting the old rules to bring new books to life. The processes of writing, reading, and publishing are already happening in tumultuous parallel – what happens when we bring them together into the same room, into the same conversation? Dennis Tenen, an assistant professor of English and Comparative Literature at Columbia University, discusses the ways that social networks and online communities will help people find the right books to read in the future. The Sprint Beyond the Book is complete! You can read the main text of our publication, Beyond the Book, on this website by using the links below. You can also download the Intel Labs PGE Reader to access the book with a fully-designed layout featuring video interviews, images and additional text crowdsourced from attendees at the Frankfurt Book Fair and participants around the world. We’ll be updating Beyond the Book with additional essays and other content soon, so check back frequently to experience the latest version of this living text. The Sprint Beyond the Book was a great success: we wrote, edited and published a collaborative multimedia book exploring the future of reading, writing, editing and publishing in just 72 hours! We are extremely grateful to everyone who made this possible: our collaborators here on the ground and around the world. Thank you to our writers – Charlie Stross, Dan Gillmor, Jane Friedman, Brian David Johnson, Corey Pressman and Lee Konstantinou – to the many people who shared their thoughts in text and video contributions, to our colleagues from Intel and at ASU, and to the many supporters who stopped by to show their support at the Frankfurt Book Fair. Beyond the Book isn’t a finished product – it will continue to evolve. You can join the conversation on Twitter at the hashtag #beyondthebook. You can also contribute your ideas for future editions of Beyond the Book and our other experiments with the future of publishing by responding to our 7 big questions. How will books be produced in the future, and who will produce them? How will books be written and edited in the future? How will the concept of the book evolve in the future? What will the eco­nom­ics of author­ship be in the future? In what new ways will authors engage with their read­ers?